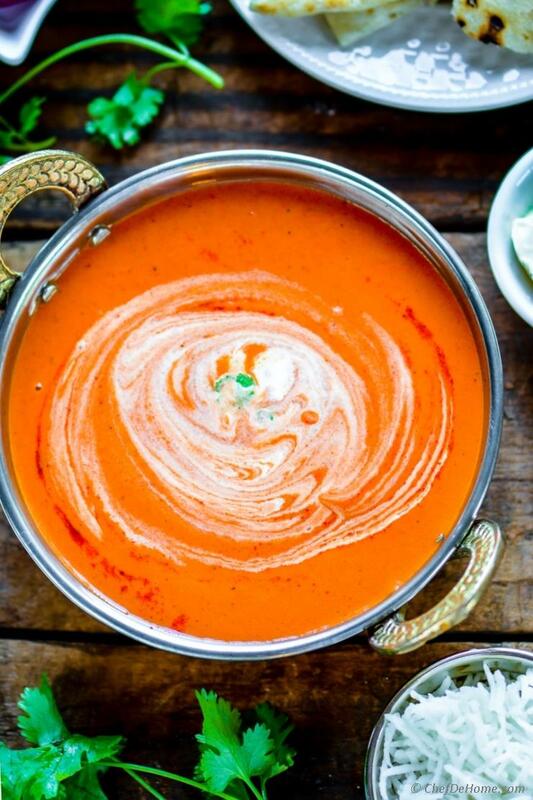 Restaurant-Style Indian Tikka Masala Sauce with just 6 simple ingredients!! This Velvety Restaurant Style Indian Tikka Masala Sauce needs just 6 staple pantry ingredients. You will be surprised to learn that secret of your all-time favorite Indian Chicken Tikka Masala sauce was in these simple and easy to find ingredients and a 15 minutes recipe. So ditch the delivery and serve an easy homemade Indian Authentic Tikka Masala Dinner even on weekdays!! Oh, and not just Chicken Tikka Masala dinner... I use this sauce a lot more ways! Tikka Masala Pasta, Tofu Tikka Masala and Rice, and even Tikka Masala Casserole to name a few! yumm! 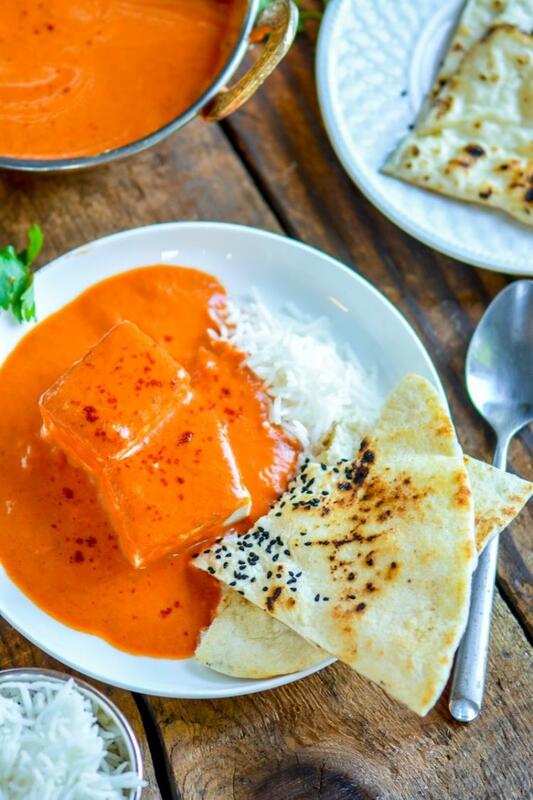 Growing up, Butter Chicken or Chicken Tikka Masala had always been big part of our Sunday family dinner. My mom makes world's best tasting Chicken Tikka Masala. And it's been always in-demand among our family and friends. After marriage, I always have tried to bring her cooking magic to every plate of food I cook and serve. But, to suit my busy lifestyle and needs........ I have updated many of her classic traditional recipes. This 6 ingredients Tikka Masala is perfect example of that! Overtime, this Tikka Masala sauce has become our family and friends favorite in most Indian-style Dinners! A evolution of classic, this recipe came into being on a very busy day and under a very short notice!! I had few guests coming over and all they wanted to eat is Indian Curries. All food was ready when Vishal came to know... one of our guest is vegetarian. I just had some salad and rice as veggie options. So quest was to make Indian Vegetarian Curry and time in hand was just 15 minutes. Thing is, a good quality traditional marinara like Ragu Traditional Pasta Sauce, has lots of flavor of slow simmered Tikka Masala sauce. So I simmered Ragu Traditional Pasta Sauce with Indian garam masala, butter, and some seasonings! Viola! 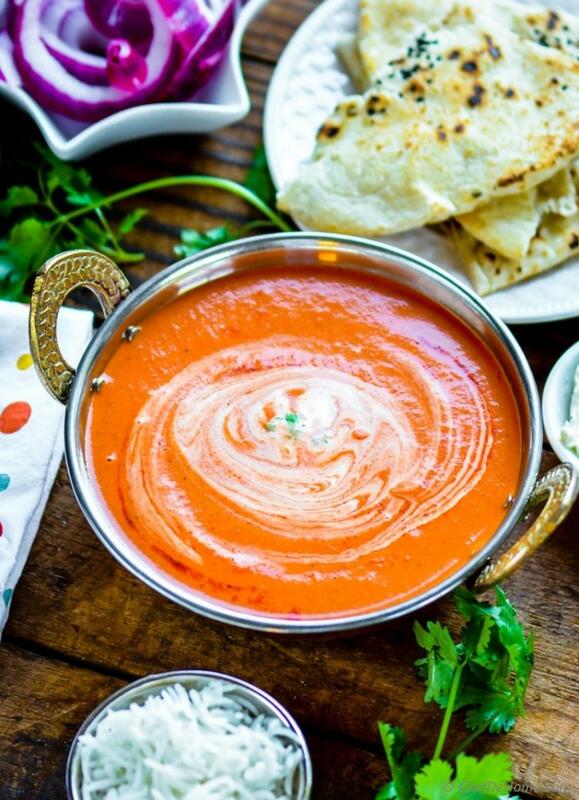 A velvety, buttery, fragrant Tikka Masala Sauce was ready with that signature deep orange color and amazingly Restaurant Quality flavor....... and I was ready to host a prefect dinner party! My guests kept asking for recipe and I promised them to share on blog. Soon after I publish this post, I'm going to send'em this link. :) This sauce has become like my new modern family tradition. Everyone who tastes it wants to get the recipe. Secret to making this easy version of Tikka Masala sauce is all in a good quality Marinara Pasta Sauce. Remember, your Pasta Sauce is main flavor-base for the Tikka Masala sauce. So choose a good quality and smooth marinara sauce such as Ragu Traditional and then serve a delicious Indian Dinner under 20 minutes! 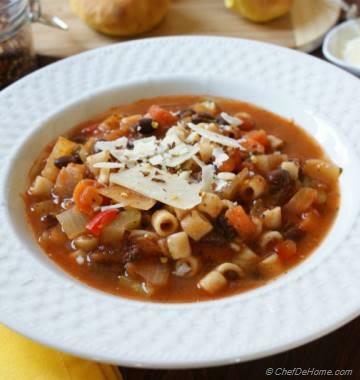 Today, my age-old family recipe is updated and calls for an Italian Pasta Sauce! I hope you will enjoy a taste of my heritage with this "updated classic". Chicken Tikka Masala Dinner is incomplete without a homemade Soft Garlic Naan! Total Time 15 minutes Prep Time 5 minutes Cook Time 10 minutes Difficulty Easy Yields 3-4 Cups Serves 4 Notes No. of servings depends on serving size. Smart Swap Use any protein of your choice. Chicken to Indian Paneer, all taste great. 2. Add cayenne (or Indian Red Chili Pepper), grated garlic, honey, and marinara sauce with 1/2 cup of water. Bring to boil and simmer for 6-7 minute on medium-low heat. 3. Add heavy cream and remaining 1/2 tablespoon butter. Heat the sauce for 1 minute while mixing the ingredients. I usually start with 1/4 cup of cream and then taste and adjust with few tablespoons more. Taste and adjust salt. Remove from heat. 4. Tikka Masala Sauce is ready!! Serve plain with rice. Or mix with your favorite protein and serve with traditional Indian Naan. Enjoy! Marinara Sauce will already have salt. So add salt only at the end after tasting. You can add more honey at that point if like more sweet. This post is sponsored by Ragu Marinara. Views and ideas expressed are my own. AMAZING! Thank you!!! My husband & I always buy canned simmmer sauces. This one was out of this world! I loved how I knew every ingredient I was eating! We served over cauliflower rice & simmered the sauce more with chicken, onions & bell peppers!! Will not go back to the canned sauces again!!! Thanks for letting me know. I'm glad to hear you enjoyed Tikka Masala Sauce. Homemade is the best! I don't buy heavy cream in general but I make my own yogurt. Could I substitute that or sour cream for the heavy cream? Heavy cream is used to mellow the tang of sauce and make it creamy. Homemade yogurt will not work for this, Sour Cream can. Please mix sour cream at the end. 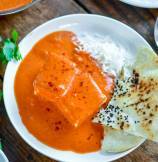 Since sour cream is little sour, it will not tone down tikka masala sauce a lot but still be nicely creamy. I hope it helps. OMGoodness!!! Loved it! So tasty. Just right. Thanks ever so much. I needed to spice up chicken and serve/prepare something different for dinner. My hubby is Trini and we love different variations of Indian cuisine. Thanks again! Ellecia, thanks. We are glad you enjoyed Tikka Masala Sauce. First time ever tried an Indian style meal. I used my own Italian sauce as base. Smelled wonderful in cooking. Taste? Sensational. Definitely an addition to our meals repertoire. Thank you for recipe. Cimmie, I'm glad you enjoyed. Thanks for wonderful feedback. Hi Bromo, I'm glad your family enjoyed tikka masala. I'll most certainly share the butter chicken masala sauce. Please subscribe to CDH newsletter for updates. Hi Liz, I'm glad this recipe worked out for you. This is staple in my home when I'm craving for tikka masala for weeknight dinner. Thanks for taking time to write feedback. much appreciated. I made this to freeze to put inside of chicken for my chicken melts and it was lovely. I added tikka masala powder too. For my taste. Even made my own marinara sauce to go with it. Loved it. Hi Claire, I'm glad you enjoy Tikka Masala sauce. I'm sure homemade marinara will make it even shine more. Thanks for taking time leave feedback. 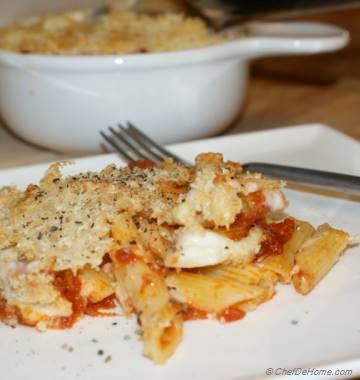 Can I use ordinary tomato sauce instead of marinara sauce. Kushi, yes you can use tomato sauce instead of marinara too. I would adjust the sugar/salt and garlic as per taste. I hope it helps. Wow, I would love some naan dipped in that delicious looking sauce! It looks amazing! Thanks, Amy! No doubt, this sauce need some naan to wipe up the plate clean!! Marinara sauce tikka masala!! You GENIUS!!!! ooo this looks perfect, so creamy and delicious! this looks heavenly, could I substitute the cream with coconut milk? I love a creamy rich sauce! Thanks, Kristen! Yes, you can use coconut milk instead of heavy cream. 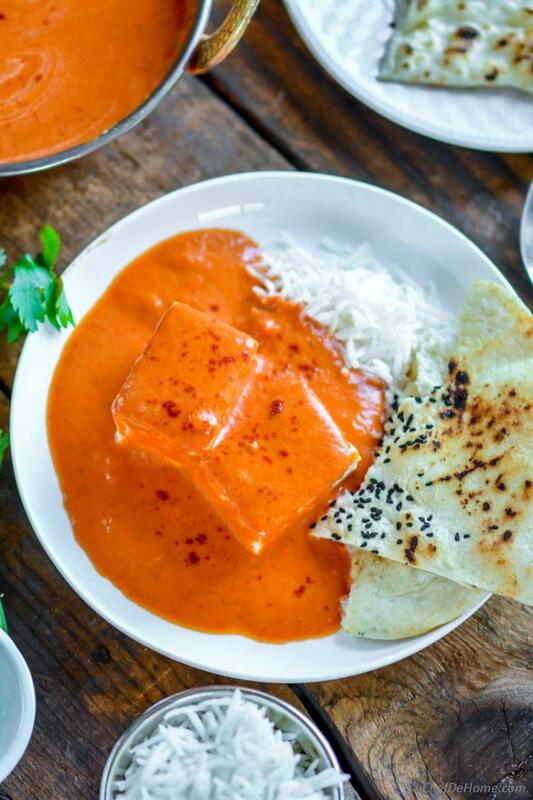 coconut milk will add little taste of coconut which is not a ingredient in traditional Tikka Masala Sauce. But as a substitute it is totally fine and will make a creamy sauce like this one. Do let me know how you like it! Enjoy! What about marinara sauce recepie??? 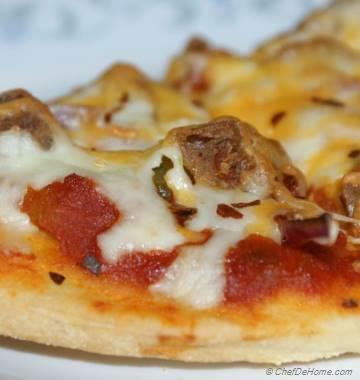 Jitendra, I have used Ragu Tradtional Marinara sauce for this Tikka Masala. You can follow the link in description to buy some for the recipe.